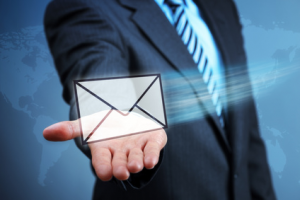 Are you a small to medium sized business looking for a scalable email solution without having to maintain your own infrastructure? No hardware requirements are necessary. Small Business Mail Hosting from MyCHS has three plans to choose from. Each of these plans provide fast and reliable email service with a web based administration for adding and modifying your accounts. Looking for something more robust? MyCHS offers Microsoft Exchange 2013 Hosting which provides shared calendars and syncing between all devices. Webmail / POP/ IMAP / Mobile access, 3 GB of storage, and premium email filtering. Webmail with your company logo, POP/ IMAP / Mobile access, 5 GB of storage, and premium email filtering. All Small Business Mail Hosting packages come come with Webmail and an account administration control panel for self administration.